Many of you would have surely listened about the name of AdMob! But very few of them knows about the concept behind this term! Right through this piece of article, we would be getting into detail discussion about what AdMob is all about! What Is AdMob All About? How to Monetize Your App Using Admob Easily? How To Include Admob SDK in App? AdMob by Google is basically identified to be the mobile Advertising platform. We all know Adsense By Google is a leader in monetizing websites. It has somehow brought out to be one of the easiest and simplest ways as through which you would be able to monetize our app by the means of advertisement. We can also make the use of this app as in order to generate with some of the revenue straight from out app by sources of publishing it. AdMob gives you the complete freedom of showing the ads in whatsoever variety and category you want to. In all such ads categories, we would mention out the names of banner ads as well as video ads or the native ads too. It is much easier as in order to integrate the AdMob right into the app all through by creating the account and even generating Ad Unit Id. You have the choice as for where you can create with more than two Ad Unit Id that merely depends on the type and amount of the ad you want to publish. As you start off with the creation of this application, you need to, first of all, generate a unique identifier id as in favor of the ad. Let’s see how it is possible! Banner Ad: In order to generate the ID unit for the banner ad, you will be taking hold on the small portion of the screen. This will be placed at the top or even at the sections of the bottom or the middle areas. This normally depends on your personal requirements. Interstitial Ad: For this ad unit, you will be utilizing the whole screen of the device which means that it will be blocking the UI of the application. To Generate the Ad Unit Id, you need to first of all sign into the AdMob account. You will be successfully created with your account click straight on the Monetize apps. After it, you will be adding the application as manually. Give a name to the application and also to your android platform too. As you are done with it, you will be generating the App Id. So many minds are stuck with the question that how is it possible to monetize the app by the way of using the Admob version! As you are done with the creation of the app, now it’s time to make money through it. If you do not want to pay any sort of charges, then the best way as in order to monetize the app is through the use of Ad Network. In the first step of the method, you will be opening the Google AdMob website and signed into it. If you are not having any account, then you should sign up by creating a new account. As you have logged in, you will be going to click the Monetize tab just as into the top bar then you can click on the MONETIZE NEW APP. At the third step, the AdMob method will be coming up with the collection of information about you and will be provided with the SDK for the app. You will be giving out the details related to the application. In the next step, you will be making the selection of the ad category which you want to create up and provide with the name of the Ad. You also have to choose the type of the content in the ad that should be either text or the second one should be image option. By ending up with the step no 4, you will be given the AD UNIT ID which you will be saving for the later use in the application. The last and final step will be about the downloading of the Google Mobile Ads SDK all along with the Check Integration Guide. Now as we have ended up with the process to monetize the app, now it’s time to learn about the method that how you can include SDK in App! Step 1: Starting with the very first step, you will be creating the project all through the use of the code. Step 2: In the second step, you will be adding up with the two buttons into the ViewController class and then you will be connecting it to its Outlet and Methods. Step 3: In the third step of the method, visit the GoogleAdsMob.swift page where you will be provided with your Ads Unit ID for Banner Ad as well as Interstitial Ad. AdMob will be providing the two main modes ranging into the test mode as well as live mode. Step 4: In the next step of the method you will be carrying out with the Initialization. In this step, you will be going to initialize the Google Admob in your AppDelegate file in Method DidFinishLaunchingWithOptions. Step 5: As you will start to run the app, you will be catching the screen over the side of the simulator. You will be selecting the test mode and then you will be going to click the each single button through which you will be able to see the ads. This will often make you display out with the Test Banner and Interstitial Ads. There is no doubt about the fact that ads are categorized out to be one of the efficient ways as through which you would be able to run down the revenue from your apps. AdMob is the coolest and yet the smartest monetization platform that is meant for your apps that is helpful as in order to raise up the revenue of the ads and even the in-app purchases. You just need to make sure that you are signed up in the AdMob. It is important that you should be playing out the ads as thoughtfully and in the adhere to form. Be sure that you have the ads material that is intrusive but it must be clear in favour of the visible terms. It should attract the readers. You should be chosen with the ad format that must be clear and appropriate as meant for your app content. AdMob brings you closer to the wide range of the options in favour of the ad formats for the videos as well as native ads and even for the banners. Additionally, you should be making the best use of the native ads feature as in order to match up with the ads by means of the look. Try to make the use of the target features as in order to match up with the ads alongside the user and so as the app. You should not be carried away with the tendency of the limiting the volume of ads that AdMob will be showing out at the expense of revenue. In short, you need to make it clear, simple and easy to read out in better understanding. For the information of the readers, we would like to mention that the AdMob payment cycle should be based on the monthly criteria terms. You will be taking into consideration the estimated earnings just as over the course of time in a month. Just as at the time of starting of the month, all your earnings will be finalised and will be posted in terms of the balance of your payment history. If in case it does happen that your payment threshold crosses the limit and you will be holding no payment modes, then, in that case, you will be issued with yet another payment circle that will be around the 21st of the month. This was the end of the overall review discussion about the method on how you can monetize your android apps using the AdMob. The method is quite a lot easy and for sure the best means of bringing the chances of handsome money revenue too. 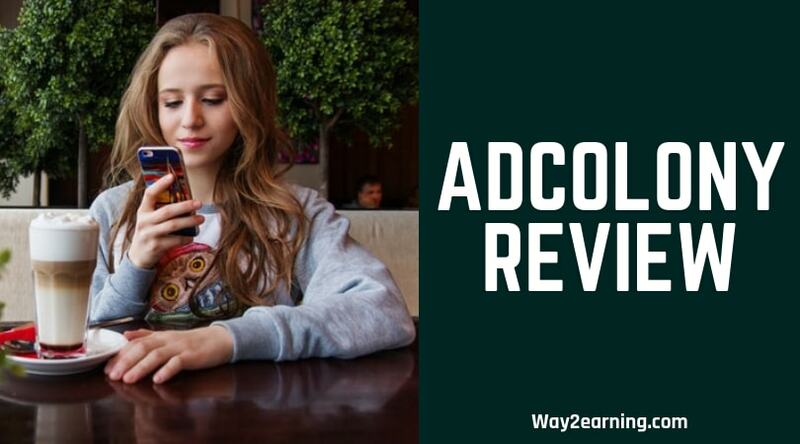 If you want to carry out the ad posting efficiently and that too on easiest terms, then without any second thought we would surely be suggesting you choose the AdMob method/process right now! We are sure that you could not stop yourself from suggesting this method to your friends as well! Try it now!